Will your credit card work abroad? Traveling abroad this summer? Don’t be surprised if your credit card gets the occasional rejection. In Europe and in other countries around the world, chip and PIN or EMV-enabled cards are the norm. These cards use a microchip and a personal identification number to validate transactions instead of a cardholder’s signature. 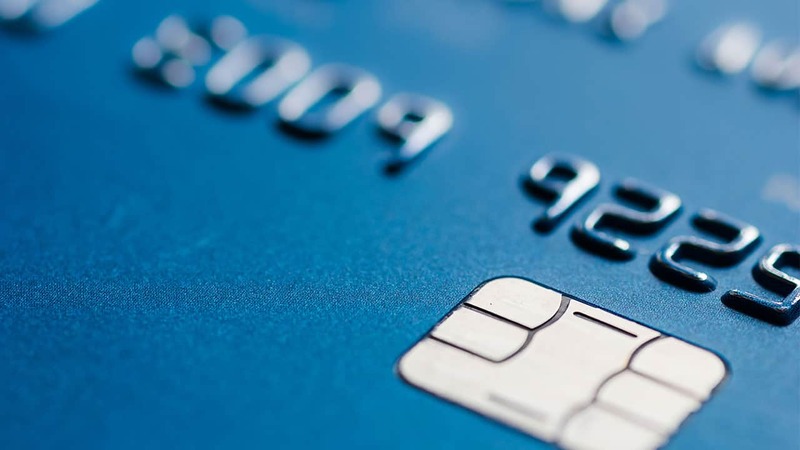 Rather than swiping the magnetic stripe through the card reader, consumers insert the card into the machine and enter the PIN stored on the chip. EMV, named for its original developers Europay, MasterCard and Visa, is the global standard for chip-based debit and credit cards. As of 2009, there were more than 944 million EMV-compliant chip-based payment cards in use worldwide, according to the standards body, EMVCo. 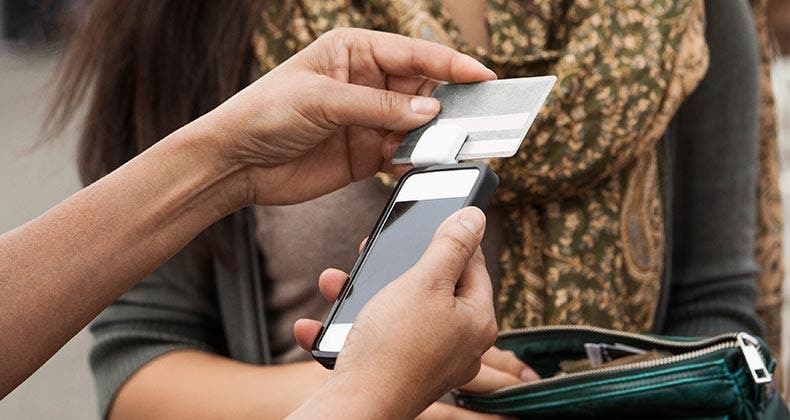 The chip and PIN system is becoming the dominant card payment platform, notes Jack Jania, vice president and general manager of secure transactions for Gemalto North America, a digital security firm. He says that more than 22 countries have adopted or are in the process of adopting EMV. 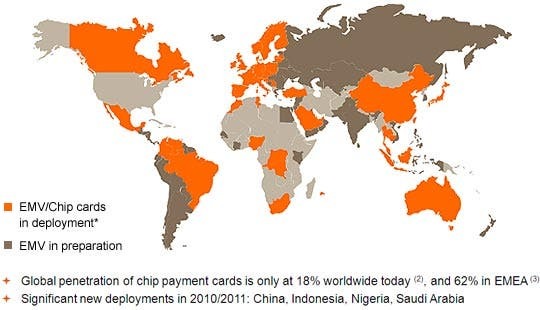 As the map of chip and PIN use shows, the United States is not one of those nations. Just one U.S. card issuer, the United Nations Federal Credit Union, has announced that it will provide EMV-enabled cards later this year. While most chip and PIN card readers can still read magnetic stripe cards, travelers may have trouble using their credit card at self-service payment kiosks that don’t recognize cards that don’t have a chip, such as unattended ticket machines in train stations, parking meters, parking garages, tollbooths and gas stations where customers pay at the pump. You might even have trouble paying in person. “EMV has been prevalent in Europe for so long some of the cashiers don’t see mag-stripe cards often,” says Jania. Younger or poorly trained staff may not know how to process chipless payment cards. 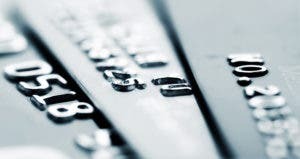 Even if they know the procedure for non-EMV-enabled cards, some merchants might refuse those cards as payment because they “either think they cannot accept non-chip and PIN cards or have taken a business decision not to accept them,” Mark Bowerman, spokesman for The UK Cards Association, said via e-mail. Speak up at the register. 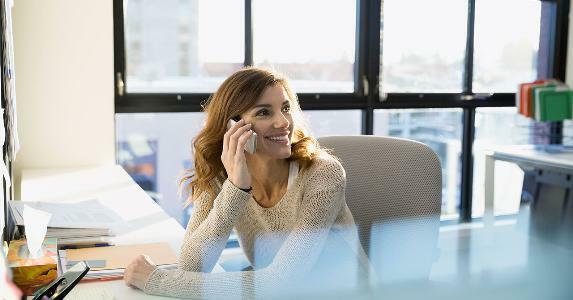 “If prompted for a PIN they should tell the person behind the counter that they have a non-chip and PIN card that needs to be processed via the magnetic stripe being swiped and a signature taken,” says Bowerman. However, this strategy may not always work if the clerk doesn’t know how to process chipless cards or refuses to do so. Or, if your suggestion gets lost in translation. Plan ahead. According to an e-mail statement from Visa, “In the rare instance that a cardholder encounters a problem, such as at an unattended rail ticket machine that does not recognize non-chip cards, cardholders should present their card to an attendant or agent (e.g., at ticket windows), or they can buy tickets via the Internet.” If you can’t purchase tickets in advance, allow for a potential wait in line. Look for the logo on your card. Make sure that the merchant accepts the credit card brands in your wallet, such as Visa, MasterCard or American Express. Don’t bother using your four-digit credit card PIN to pay at checkout. It won’t work. “That PIN that you use for the ATM is not applicable on a point of sale terminal — that PIN is only for ATM machines,” says Jania. Notify your bank of your international trip. Provide your itinerary to your issuer or the bank might block your transactions to prevent fraud. 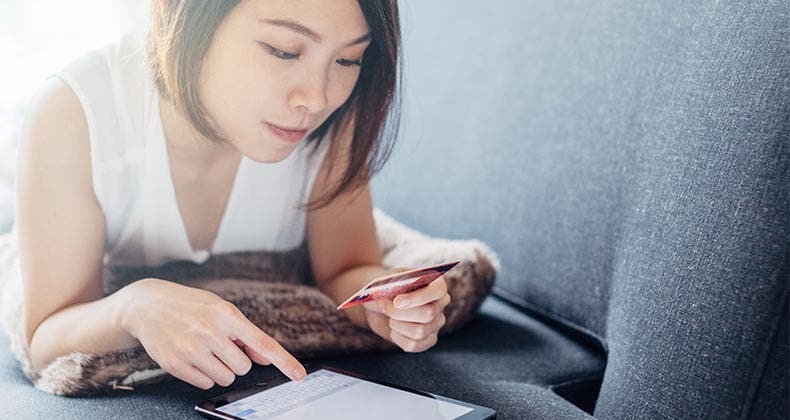 Sign up for Bankrate.com’s credit card newsletter. Best way to pay down $50K debt? 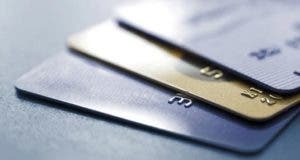 Are credit card fees increasing? 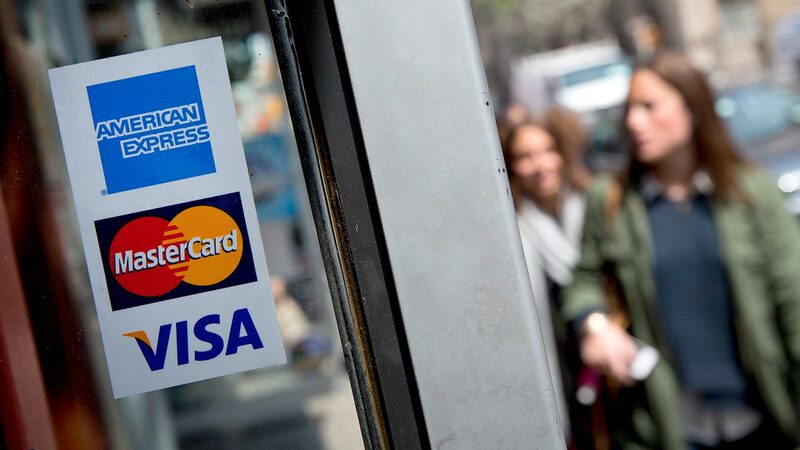 Can a new credit card issuer raise rates?